St. John is covered with beautiful landscapes, gorgeous beaches, and enticing restaurants and shops. Whether you’re going on your Caribbean vacation to relax on the sandy shores or adventure through the tropical forests, there is so much to explore on our island! Here at CimmaronStJohn, we provide luxurious, private vacation homes to help make your Caribbean journey the best it can possibly be! Along with our beautiful villas, condos, and manors, we offer a wonderful concierge service that will help you decide what to do during your stay. We offer the best advice on excursions, entertainment, and restaurants. If you have any questions, just give us a call! In the meantime, you should check out some of our restaurants suggestions on the island. One great place to eat particularly is Cruz Bay Landing! For more restaurants suggestions near your CimmaronStJohn vacation home, read our St. John restaurant guide. It’s full of the best dining recommendations on the island, like Cruz Bay Landing. What makes a good restaurant here in St. John? Well, food for one thing but also the ambiance! Located just steps off the ferry dock in Cruz Bay, Cruz Bay Landing has one of the best atmospheres around. With gorgeous waterfront views and a large outdoor dining space, you can begin your vacation right when you land on St. John! Enjoy the sunshine outside on the deck or grab some shade under the umbrellas. The inside space is light and airy, letting in all those natural views that make the island the true paradise that it is! Come to Cruz Bay Landing for breakfast, lunch, or dinner! There is delicious food throughout the day, and a great happy hour as well for unwinding in the evening. 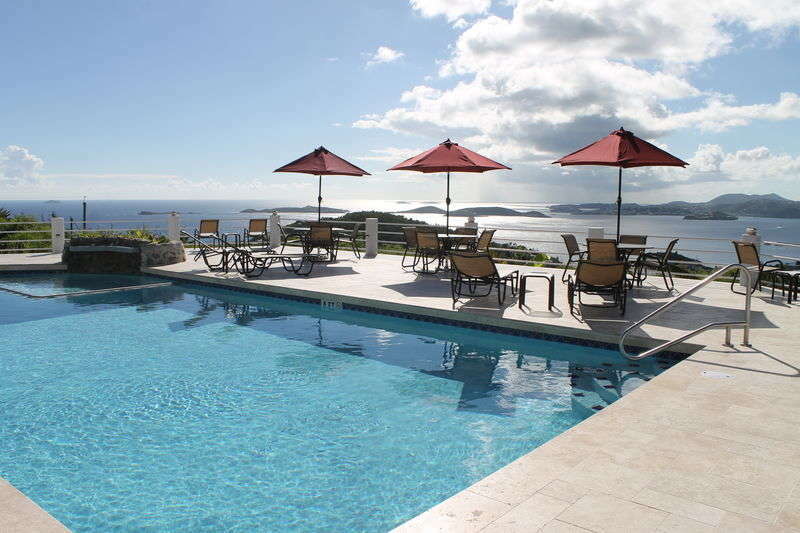 Sit back, relax, and enjoy some delectable food and drinks during your vacation stay on St. John! Start off your day right with a scrumptious breakfast at Cruz Bay Landing. At the top of the menu, you will find some local favorites. One such favorites is the landing skillet with eggs over home-fries with sauteed peppers, mushrooms, onions, and jack cheese with fresh guacamole. Or, try the bagel and lox plate with cream cheese, cucumbers, red onions, capers, and a hard-boiled egg. The steak and eggs is another classic, with eggs, an 8 oz. NY strip, home-fries, and toast! You will need to recharge at lunchtime in between your island adventures. Even soaking up the sunshine can make you hungry, believe it or not! Grab a mouthwatering lunch to satiate your hunger. At Cruz Bay Landing, you will discover some great signature salads and sandwiches for some lighter fare. The pretzel Philly is a favorite! For a lunch platter, select from Baja fish tacos, ribs, or some classic fish and chips! To share, try the hummus plate, loaded waffle fries, or crab cake sliders as an appetizer. For a wonderful evening, enjoy dinner at Cruz Bay Landing. A Caribbean roti is an island specialty. Choose from chicken and sweet potato or vegetarian chickpea and pumpkin. Surf and turf are two other great selections. The catch of the day will be a surprise special, while spicy jerk marinated chicken will entice your tastebuds. Other options include coconut shrimp with crab cakes, a house burger, and a grilled chicken sandwich. Yum! For more great restaurant recommendations, just ask our concierge service here at CimmaronStJohn! Or, read one of our blogs on other delicious dining spots around the island. We hope to see you soon here in the Caribbean!